As soon as I got on the plane back to New York, I started typing away. I had a post all ready to go and just needed Austin Rodriguez, one of the coaches, to answer a few questions. However, once he sent me an email with all the information needed, I thought to myself, "There is NO WAY I can leave any of this out!" I would not do justice to his thoughts if I reworded his response. Austin really painted a clear picture of the team. I am really excited to present to you the Lindenwood University Olympic Weightlifting Team. I attended the 9am Saturday morning training class. All seemed pretty normal. Coach Austin was leading the stretches and as I looked around there was something that stood out. 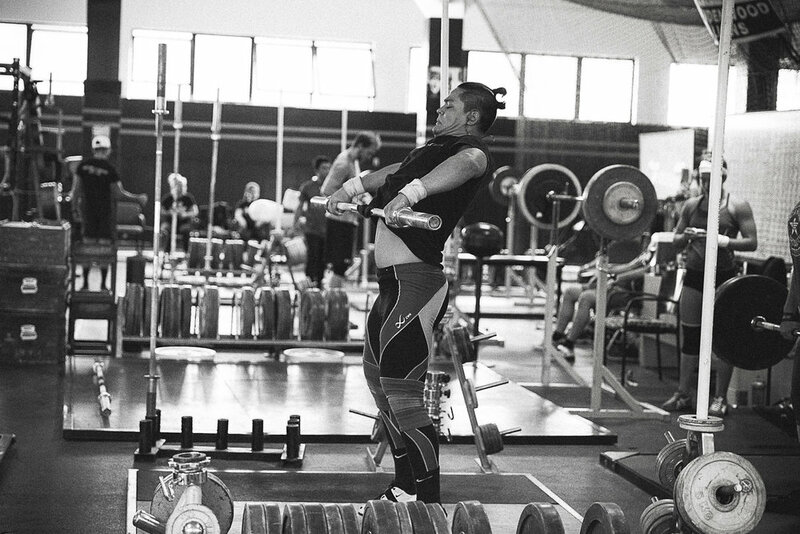 I was standing in gym facility, in a college, where there was an olympic weightlifting team. 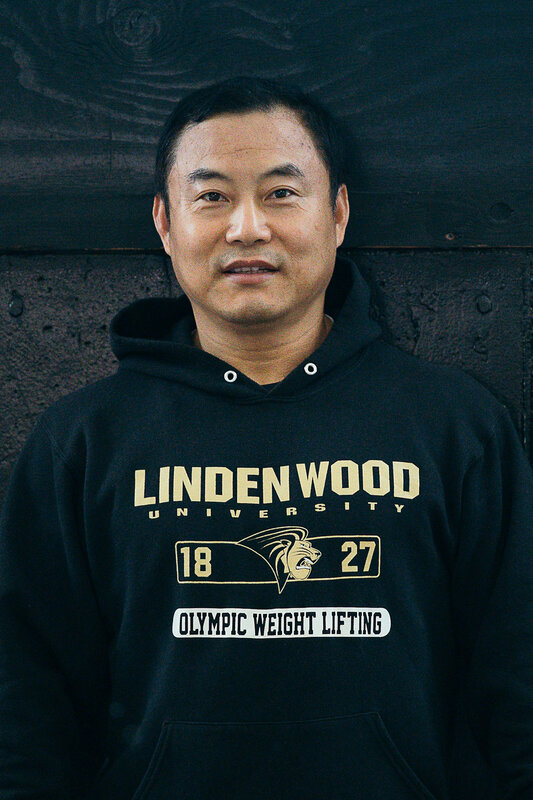 Guys, did you know Lindenwood offers scholarships to some of the weightlifters! WHAT?! I know, I know. There is so much to share here. Please continue reading below. 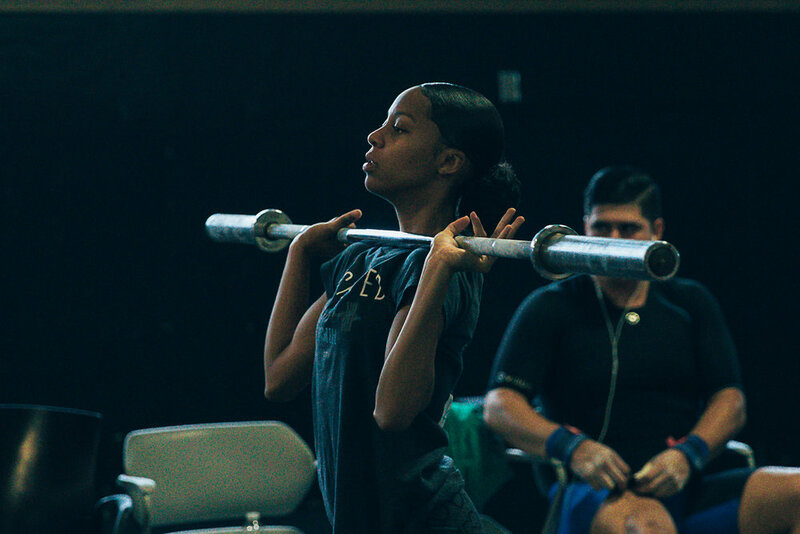 "The weightlifting team was started by Derrick Johnson, who is now a very highly ranked weightlifter in the 62kg weight class. He is from St. louis, now in California, and he went to Lindenwood for school. 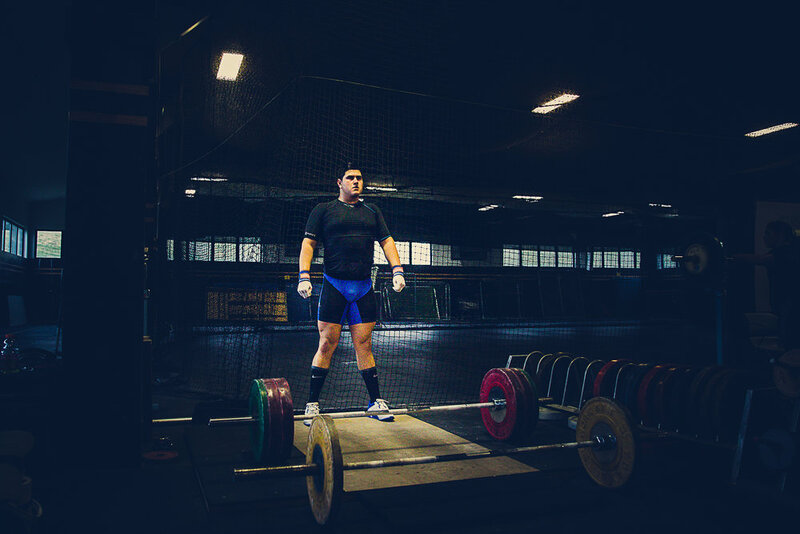 After his bachelor’s he decided to start the only official weightlifting team at a University." (Not the football player guys... stayed focused here. Read Derrick's bio here and if you don't like reading, scroll to the bottom of the bio to the part where he shares "Most people don’t know that…." pretty awesome info). 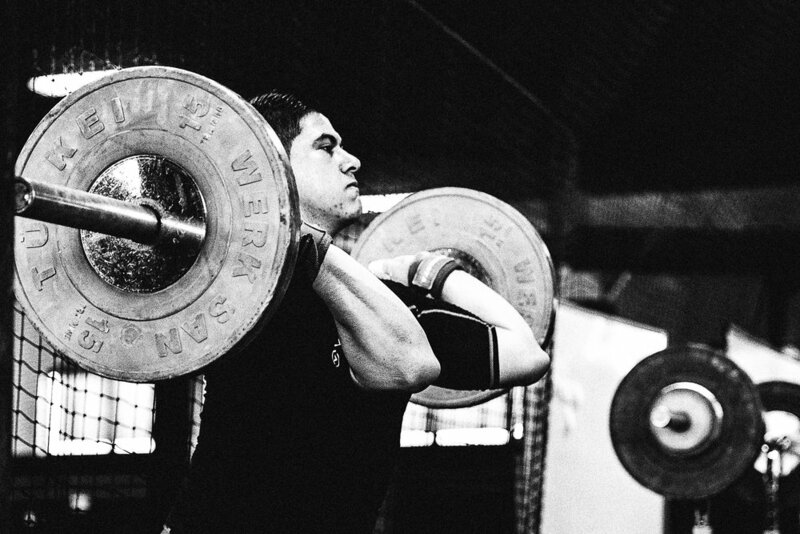 The Olympic Weightlifting program was added to Lindenwood’s varsity sports in April 9th 2009. The past coaches have been Former Head Coach: Derrick Johnson (2009-2012), Laurent Goyette-Demers (Graduate Assistant), and Samuel Chatman (Graduate Assistant). When Derrick left, Sam Chatman became the interim head coach until Head Coach Jianping Ma took up the position in 2012. Since then the Graduate assistants have been Jesse Conaway, Trenton Crain (now an assistant coach), Matthew Barker, Brian Ferrari, Jacky Bigger, Gil Parbey, and Corey Murphy. Currently, Trenton Crain and Jordan Kroell are the other two assistant coaches." "Primarily, weightlifting scholarships are determined by a ranking system called the z-score that I learned in stats. This creates an equal assessment based off the average totals of the past 2 University totals in each weight class. It ranks everyone based off their totals compared with the average of the University totals. After they are here, scholarship is based off of work put in and dedication to the team. They need to show that they are committed to the team fully and are solely here for weightlifting and school. Injuries do not affect scholarships so much as long as they show they are trying to return to the sport. We are much different than any other club because our school provides all the funding for the team. Lindenwood pays for competitions, meals while away, lodging, and scholarships. It is truly just like any NCAA team here at Lindenwood. "I think the AO3 was a good comeback meet for the team. Most of them went back home and trained over the summer, so it was more of a testing meet for us. Our biggest competition is University Nationals in April so this was a smaller meet for us to see how our team is doing as a whole. We were able to see our incoming freshmen compete for the first time and see what their strengths and weaknesses were and how they handle situations in competition or how they like to be coached in competition. If we had more time to train together as a team then I think certainly we would have done better as a team, but everyone says that lol"
"We have team training Mon-Sat. Monday, Wednesday, and Friday: 6am, 2:30pm, and 5pm. Tuesday and Thursday are 6am, 1:30pm, and 4pm. And Sat is 9am-12pm. We have at least 3 coaches and 1 intern at each 6am session, 1 coach during the 2:30pm and 1:30pm, and at least 2 coaches at the 4pm and 5pm sessions. We do a team warm-up every scheduled session. We also have 8am-1pm open for basically open gym to the athletes, they just need to sign in up front. Sometimes there is a coach in there, but the coaches are not required to be in there so the coaches get a little bit of down time. We have a newsletter for the athletes so they stay up to date on things and they cannot say they did not know about the training times or have any coaches contact information. We try and keep them just as informed as us." This is my favorite part.... 6am training time for beginners. I know adults who wouldn't be able to commit themselves to a 6am training time. 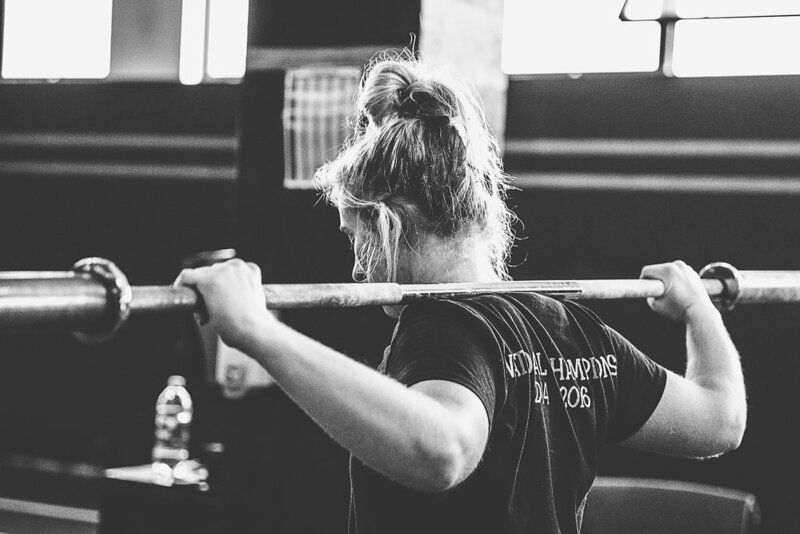 "We started a 6am training time every weekday for people that wanted to learn weightlifting. We have had a lot of people join the team from just learning about weightlifting on campus. 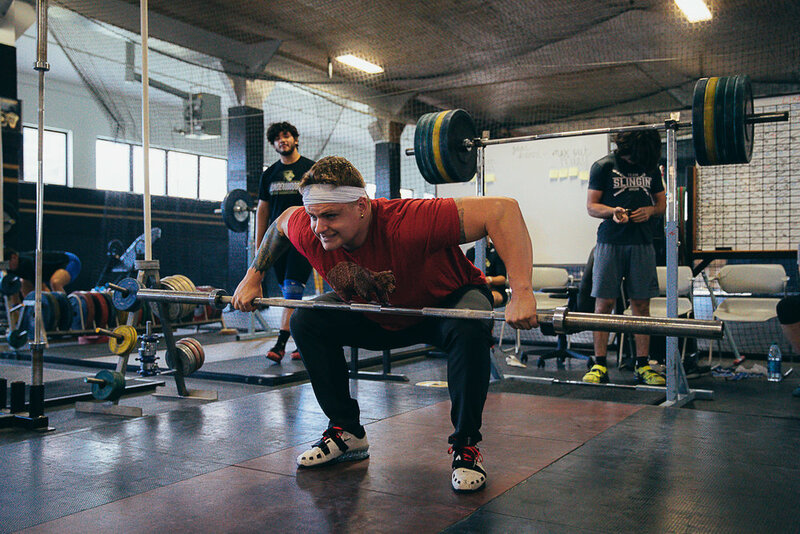 The hard part is people think weightlifting is just like their high school weightlifting class and so they come up to me saying they want to join weightlifting and be a part of the team when in reality I feel they think it will be easy and an activity just like their class in high school. So what we did was require anyone who is new to the sport of weightlifting and say they would like to join the team to attend 6 am practice every weekday, with Saturdays off. This weeds out the ones that want to participate in our sport for the wrong reasons and so far it has been working well, because the ones that have stayed are really beginning to enjoy the sport for what it actually is rather than as an activity. 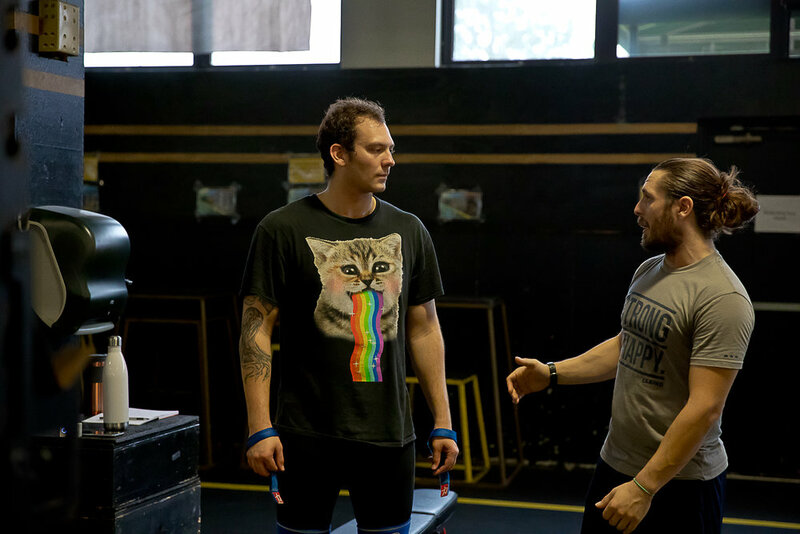 Now those beginners are understanding the term weightlifting at whole different level, which is how we Olympic weightlifters understand the term weightlifting." 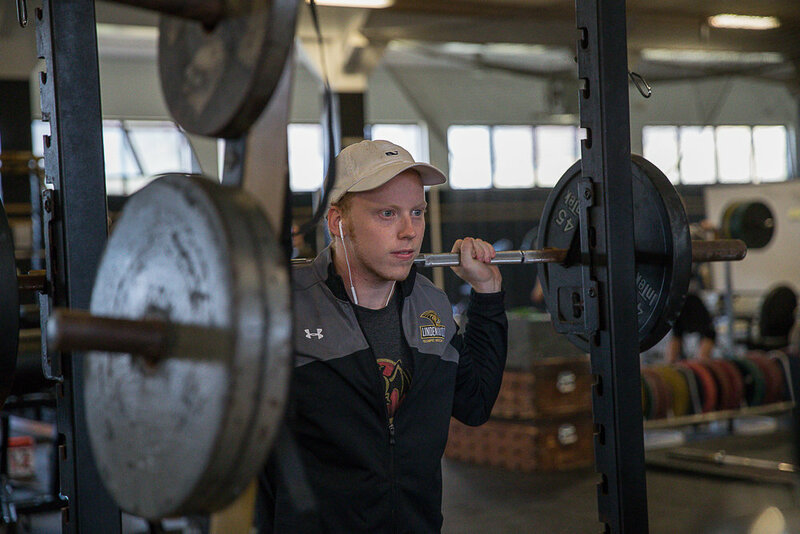 "I would also like to share that we just made our first order with Earth Fed Muscle, so the Lindenwood Olympic Weightlifting team will be partnering with EFM on supplements for each semester from here on out." "I do not have a Powerlifting background. I have been an Olympic weightlifter for 6 years now and I have been dealing with a wrist injury for about 4 years now and can’t seem to let it heal because I keep getting sucked into weightlifting even though I know I will hurt it more. So what I decided is to compete in something else for a little while until my wrist heals so then I can come back to weightlifting closer to 100%. I realized that I just need something to train and compete for in order to keep my sanity you know lol. So I found out that bench does not hurt my wrist so I will be trying out Powerlifting for a little while." Below are some of the photos taken that Saturday morning. 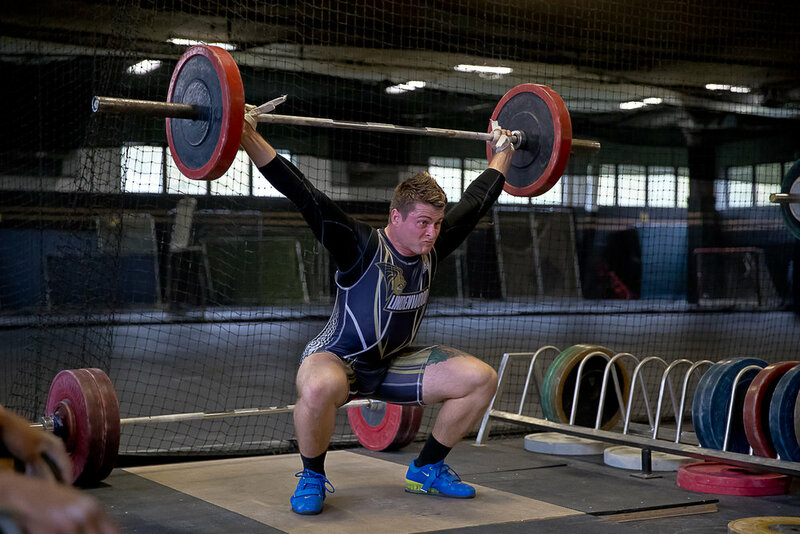 I like to call these kinds of images small moments in weightlifting. Enjoy! 2017 Junior Nationals Kansas City was when I first got see some of the team members compete. Thank you Lindenwood Lions for letting me stop by! These in person meetings are important for me. I get to meet the people that share the photos I take... wow, best feeling. Also, a huge thank you to Walker Van Whey! While I was taking photos, I noticed someone following me with a camera and I actually did a double take. I'm normally the one doing the stalking. lol. I almost didn't make this visit because things have been so busy. I'm so happy I did and really hope next time I can stay a little longer and actually get to train with some of you on a Saturday! Till we meet again and please don't forget to give @lu_weightlifting a follow!